All of us spend a lot of time daily searching for latest movies’s downloadable prints. Isn’t it tiring and time consuming?, well thankfully, CouchPotato is out there. It is a totally free application which lets you automatically download movies as soon as they are available online on usenets or torrents sites. It is extremely easy to configure and use application, works flawlessly and saves your lot of time and headache. Just let CouchPotato know the names of movies you are looking to download, and as soon as their online print is available, CouchPotato will download and save it for you on your specified location on the hard disk. In order to work properly, couchPotato needs following two components installed on your Linux system. Let’s see how we can install these pre-requisites and couchPotato on different popular Linux distros. Launch your terminal window and run following command to install Python and Git. Once the installation is complete, run following command to clone the couchPotato’s Git repository on your local system. 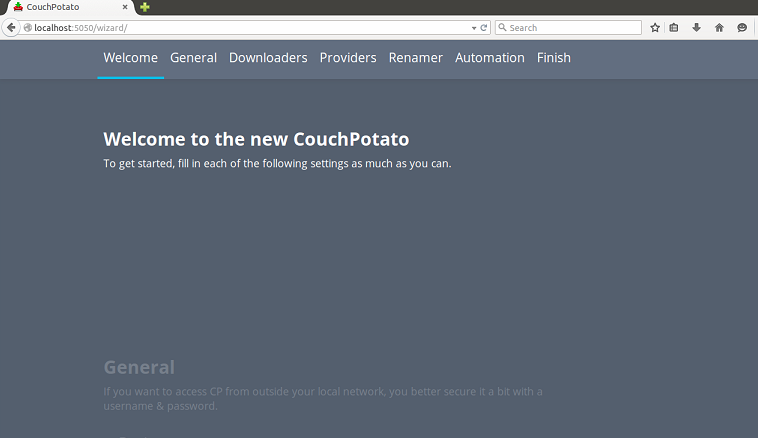 Please note that it will clone the online Couchpotato repository to your system with directory name “couchpotato”. You can change this name to whatever you want. The cloning process should take couple of minutes, as soon as completed, run following command and it will start CouchPotato server on your ubuntu/Debian System. Run following command to install CouchPotato dependencies on your Fedora or Centos system. Now simply run following two command to install and start CouchPotato. 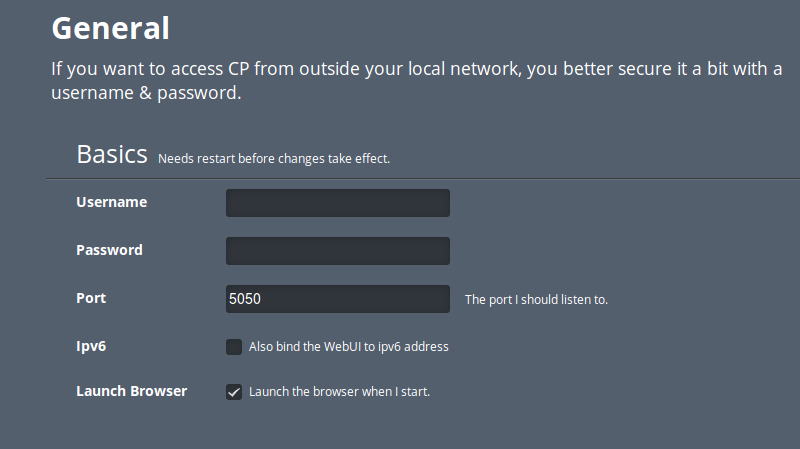 Let’s see how we can configure CouchPotato to be on look out for the movies of our choice. Here is the page that is displayed when you load it in your browser. You are encouraged to register and create an account here so that if you want to access this interface remotely, you should access it with username and password for the sake of security. Here are the torrent sites/configuration that CouchPotato supports. In order to configure movies in this application, simply search the movie name and click “Add” button (as shown encircled in following screenshot). You can choose movie’s print quality from drop down button too. For movies lovers, it is a must-have application. It will be a nice addition to your Linux desktop; it’s extremely lightweight application and hardly contributes to your system load and high resource consumption. thanks for the guide but it stops working after 5 mins. also python /couchpotato/CouchPotato.py –daemon doesnt work. it had to be without daemon. You can try running it in the background.